Uncontrolled blood pressure is proven to be a major of cause heart attacks and strokes. Controlling blood pressure is the number one way to reduce the likelihood of both those health issues. Increasing awareness is the first step in reducing the number of people who could be afflicted with either of the cardiovascular issues. North by Northeast Community Health Center, located in our neighborhood, for the last nine years has been committed to reducing the rate of heart disease and strokes among African American men. In April, with financial support by Legacy Emanuel Medical Center, and the leadership of Community Health Worker, Sharetta Butcher, they launched a program in three local barbershops. Each barbershop was given a professional blood pressure machine and the barbers were offered training for the equipment. Sharetta and two trained patient ambassadors visit the shops on a regular basis to check in with the barbers answering questions and offering additional blood pressure checks to customers. Champions Barbershop, Geneva’s Shear Perfection and Terrell Brandon’s Barbershop pledged to be a “heart attack– and stroke-free zone”. 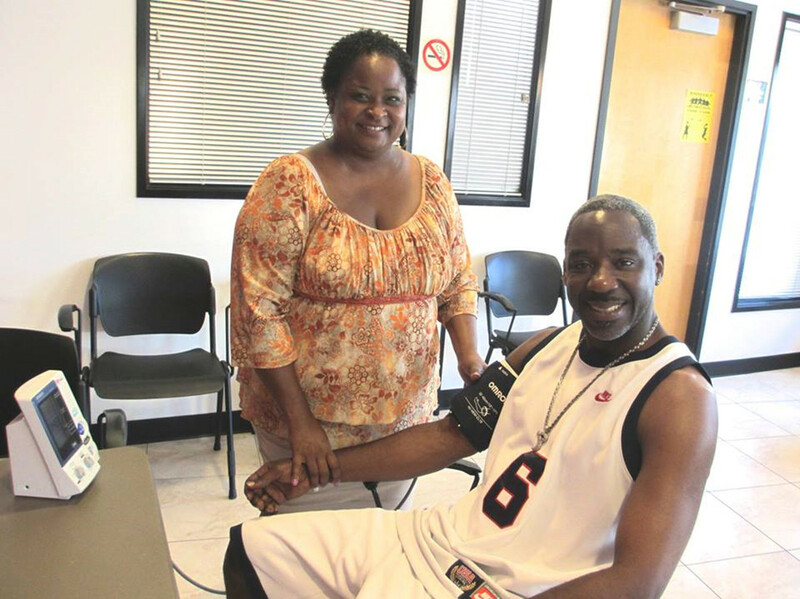 Since April almost 300 barbershop customers have had their blood pressure checks with may finding that they needed to follow up with their doctor because of an elevated reading. The program is growing and the will be adding a fourth barbershop and more patient ambassadors soon. In addition to the public needing to be aware of this program, the North by Northeast Community Health Center wants to make Eliot aware that they are looking for a new larger location. Any tips on 4000 square feet of office space would be greatly appreciated. For more information about the Cuts and Checks program, to become a patient ambassador or the health center, please call North by Northeast Community Health Center at 503 -287-4932.